To determine whether a food is whole or not, one must be completely awake when making food choices. Before we put a bite in our mouths, before we heat it up, before we even decide to toss it in our grocery cart, there needs to be a moment, a second, when we consider where the food came from. h4. Can I imagine it growing? It's easy to picture a wheat field or an apple on a tree, tough to picture a field of marshmallows. I know of no streams where one can scoop up a bucket of diet soda, no trees where one can pick Froot Loops. h4.How many ingredients does it have? A whole food has only one ingredient: itself. 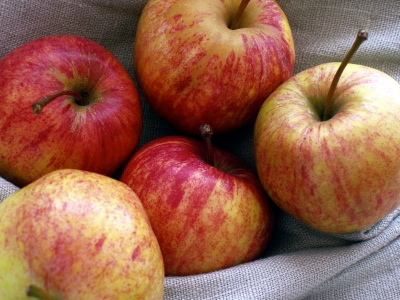 No label of ingredients is necessary on simple foods such as apples, salmon, and wild rice. h4.What's been done to the food since it was harvested? The less, the better. Many foods we eat no longer resemble anything found in nature. Stripped, refined, bleached, injected, hydrogenated, chemically treated, irradiated, and gassed, modern foods have literally had the life taken out of them. Read the list of ingredients on the labels; if you can't pronounce it or can’t imagine it growing, don't eat it. If it is not something that you could possibly make in your kitchen or grow in a garden, be wary. h4.Is this product "part" of a food or the "whole" entity? Juice is only a part of a fruit. Oil is only part of the olive. Are all of the food's edible parts present? When you eat a lot of partial foods, your body in its natural wisdom will crave the parts it didn't get. h4.How long has this food been known to nourish human beings? Sounds rough, but my criterion is 1,000 years. OK, maybe 200. Putting something on my toast or in my tea that the FDA approved last month warrants caution. Time and again, the rush to put a new drug, supplement, or food additive on the market has had questionable long-term effects. Most whole foods have been on the dinner table for centuries. p(blue). Editor's notes: You can win a copy of Cynthia's book in this week's Cookbook Friday giveaway. Go to her Emerald City Salad recipe for instructions. p(blue). More information about Nikki McClure, the artist responsible for the cover of Cynthia's book, can be found at her website or at BuyOlympia.com. p(blue). Finally, here's Cynthia talking about local and organic foods in a new Cookus Interruptus video.